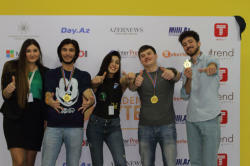 STEP IT Academy Azerbaijan has held a regional final of the International Championship “Gold Byte - 2017”. More than 700 people joined the tournament. Only 450 of them reached the qualifying round reached, while the final brought together 100 people. The event was held under the topic “Invent Create Change” and the following nominations in 2017. 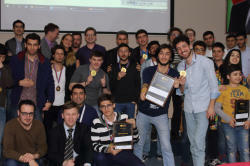 Startup Challenge – software design competition. Networking Technologies - nomination for system administrators. 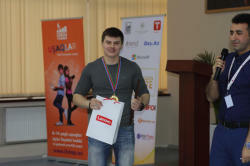 Mobile Development - mobile application contest. 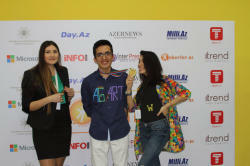 Web Design - web-design competition. 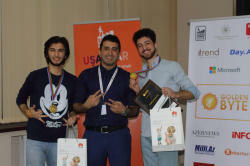 The prizewinners were awarded with valuable prizes. The winners will represent Azerbaijan in the international final of Golden Byte - 2017, which will be held on April 22-23 in Kiev (Ukraine). The championship is being held for the 9th time and involves more than 10,000 young participants from Ukraine, Belarus, Kazakhstan, Romania, Slovakia, Bulgaria, Georgia and Moldova every year. 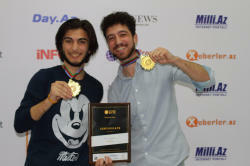 This year, Azerbaijan participates in the championship for the first time. 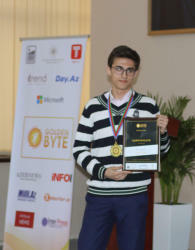 “Golden byte” is an incredible opportunity to present your project in front of leading IT companies, to share their experiences with the representatives of other countries and especially to objectively evaluate yourself and your project. Our participants get job offers from the worldwide known companies, the start-up projects get investments and promotion from venture capital funds and business angels!